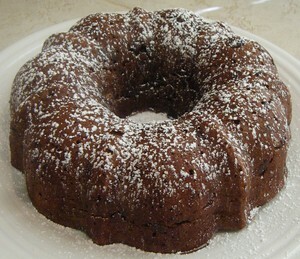 Recipe from "Beyond the Chicken Coop"
Grease inside of 6 cup bundt pan & coat with a little cocoa powder. In separate bowl mix flour, cocoa powder, baking soda, cinnamon & allspice. & make sure batter fills in all the grooves in the pan. Place 1 cup water & trivet into Instant Pot. Lower cake into pot using a foil sling. turn cake out onto a serving plate. When cooled completely dust with powdered sugar or frosting of your choice. 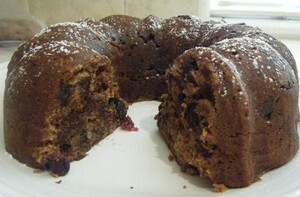 *This recipe makes 2 cakes using a 6 cup bundt pan.